University of Chicago students called on administrators to divest from companies doing business with Sudan in 2007, to no avail. Local students concerned about climate change are taking a cue from social action campaigns against South African Apartheid, urging Chicago universities to swap their investments in fossil fuel companies for stock in clean energy. They are pushing for divestment, a movement active on 256 campuses to date and backed by national environmental organizations like Bill McKibben’s 350.org. While common initiatives like energy efficiency challenges and green business competitions promote sustainability on campus, divestment has a broader scope. Silberg heads the Northwestern University Responsible Endowment Coalition, which has gathered 1,300 signatures so far in support of divestment. Faculty response has been encouraging, he said, and there is precedent. In 2005 Northwestern sold its holdings in four international oil companies active in the Darfur region of Sudan, becoming the third university in the nation to do so. The students have tailored their message, focusing first on one particularly dirty resource: coal. In addition to coal’s well-known environmental hazards, its economic performance is flagging and likely to decline further as pressure mounts from environmental regulations and cheap natural gas. 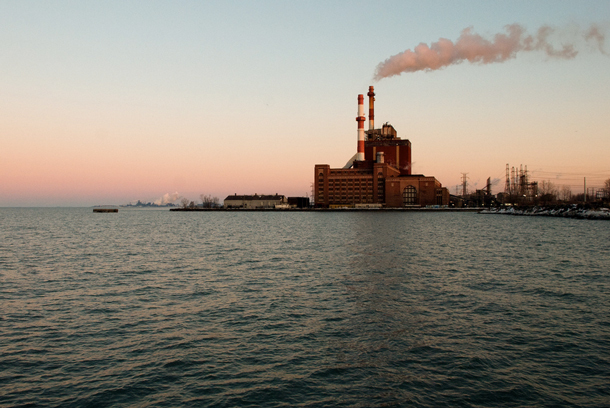 If Northwestern agrees to divest from coal, Silberg hopes, that opens the door to reinvesting in renewable energy and eventually pulling out from all fossil fuel companies. Still, tinkering with Northwestern&apos;s $7.4 billion endowment is no small task. And at the University of Chicago, it’s an even taller order. The University never divested from businesses connected to Sudan throughout its human rights violations, or from South Africa during Apartheid. In December Paul Kim was among 30 University of Chicago students who delivered a petition to the administration calling for divestment. The administration has not responded. Divestment campaigns are also active at Loyola University, Roosevelt University, the School of the Art Institute of Chicago, Columbia College, the University of Illinois Urbana-Champaign and the University of Illinois at Chicago. This weekend students from dozens of colleges across the country will converge on Swarthmore College in Pennsylvania to discuss the future of the movement. The idea isn&apos;t limited to college campuses. The mayor of Seattle, Mike McGinn, recently called on his city&apos;s pension system governing board to divest from ExxonMobil and Chevron. Although Mayor Rahm Emanuel encouraged mayors nationwide to follow Chicago&apos;s lead in pulling from the city’s portfolio investments in gun manufacturers, he has not endorsed the tactic for action on climate change. The Washington Post’s George Will called such campaigns "moral grandstanding," noting that even a wildly successful divestment campaign would not have a major impact on those companies’ bottom line since other investors will buy up the dumped stock. But Bill McKibben argues it would cut their “social license” to profit from pollution. For Silberg and Kim, the economic argument is inseparable from the moral issues that give the campaign its urgency. “Climate change action is an enormous challenge, but it&apos;s also an opportunity," Silberg said. "We have a choice as to where we allocate our money, and we make those decisions not just on short-term financial self-interest." Follow Chris Bentley on Twitter at @Cementley.